The digital baby sitter -- otherwise known as screen time -- can turn a frantic day into a manageable one. But how much plugged-in time is too much? Parents who consistently manage their children's digital diet will be laying the foundation for good habits that will last throughout childhood. When our organizations -- the Consumer Technology Association (CTA)TM and the American Speech-Language-Hearing Association (ASHA) -- teamed up nearly a decade ago, we shared a common concern about the misuse of technology: People were listening to devices -- primarily digital audio players -- in ways that were damaging hearing. The solution then was simple: Turn down the volume. Today, with smartphones almost as ubiquitous as televisions in American households, our past concerns, though still valid, have been eclipsed by something else: screen time. When surveyed this year by ASHA, more than half of parents said tech devices are making it harder for their children to pay attention when someone is talking, engage in meaningful conversations or focus on schoolwork. More than half of teens said they text or instant-message their parents while both of them are at home. And last year's ASHA parent survey found more than two-thirds of two-year-olds use tablets, more than half use smartphones and more than four in 10 use video-game consoles. Research from the Family Online Safety Institute found that most parents say the benefits of kids using tech outweigh the harm. And other studies have found technology use by kids ages prekindergarten through second grade can improve social, cognitive and technological skills. But balance is key: Children's over-immersion in the digital world can affect language development, hamper communication skills and damage hearing. This year's ASHA survey found good news on this front: Millennial parents -- the first generation of digital natives -- are most willing to adopt safe-use habits. It's fitting that those most familiar with technology would be the ones to see that it's used properly. 1. Host tech-free play dates: Kids may want to get together to play video games. But they'll have just as much fun if you encourage them to play board games or run around the yard instead. Maybe you'll even start a trend in your neighborhood. 2. Give your home a tech-free zone: Designate an area where tech use is forbidden. Use it as a place where homework is done, conversations occur, and tasks requiring an extra level of concentration are undertaken. This will help eliminate distracting tech use and present more opportunities for meaningful communication. 3. Embrace boredom: Encourage your kids to try a new hobby. Maybe it's extracurricular activities at school, or perhaps it's an arts-and-crafts project at home. Have your kids help you plan a weekly family "field trip." And if you run out of activities, let boredom be your kids' guide. Boredom can lead to creativity, and in moments of monotony, you and your kids can rise above the routine and find opportunities for learning and bonding. 4. Don't let car trips turn into tech binges: It's tempting to let kids spend even a short drive around the block tapping away at a tablet. Parents might give in to avoid the conflict. But remember car games? Sing-alongs? Daydreaming? Audio books are a great option, too. 5. Turn down the volume: The World Health Organization estimates 1.1 billion young people, ages 12-35, are at risk of hearing loss worldwide because of listening to too-loud music on audio devices and at concerts. To keep your kids listening safely, consider investing in special headphones that can't be turned up beyond safe decibels. For older kids listening on regular earbuds or headphones, the rule of thumb is this: If you're standing near them and can hear their music, it can damage their hearing. Ask them to dial down to half volume and take listening breaks. 6. Limit screen time: One of us (Gary) grew up with a strict one-hour school-night limit on screen time. The same rules can apply, and screen time can be the reward once homework and chores are completed. The American Academy of Pediatrics released updated screen time guidelines suggesting avoiding screens for infants 18 months and younger, and screen time limits for older children. Technology has transformed modern life in endless positive ways. It's connecting us more than ever with people across the globe. It's an irreplaceable lifeline for many people with hearing and speech disorders. It even has the potential to help us solve some of our greatest global challenges, such as hunger, clean-water scarcity and disease. But technology is also a tool. We must use it wisely and practice that simplest of rules: Everything in moderation. 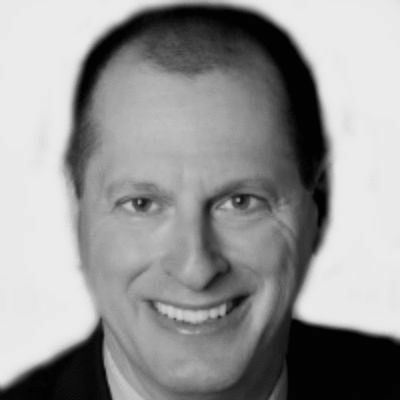 Gary Shapiro is president and CEO of the Consumer Technology Association, which represents more than 2,200 consumer technology companies. Jaynee Handelsman is president of the American Speech-Language-Hearing Association and director of pediatric audiology at the University of Michigan Health System's C.S. Mott Children's Hospital.